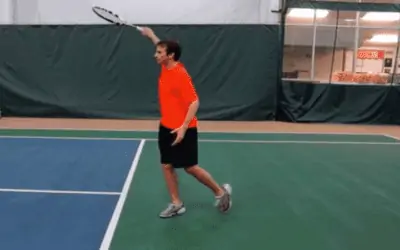 I’m aware that many players aren’t sure how to properly execute a short crosscourt volley. Which is why today’s article is all about how to master the short crosscourt volley. This is a shot that many traditional coaches neglect to teach. 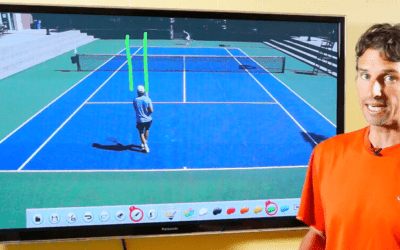 I’m sure you’ve been told to hit your volleys deep, but if you watch the top players, you’ll notice they make their volleys land shorter with angle inside the service line. 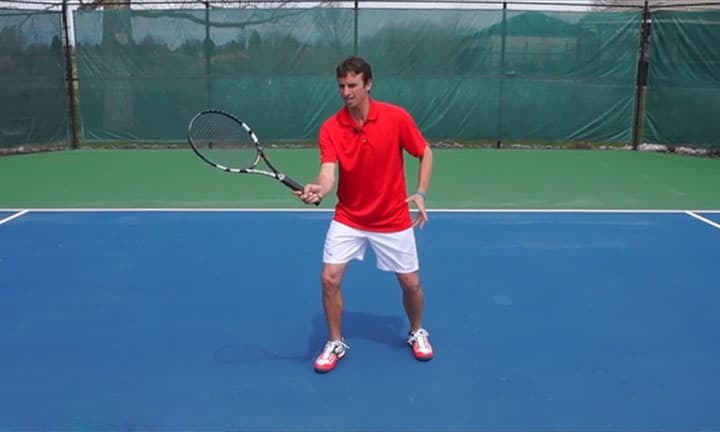 So, I’m going to share a few tips with you today on how to master the short crosscourt volley. First off, you need to make sure you have the right spacing when you strike the ball. Players often get to close to the ball when trying the angle volley. So, when you’re moving to a wide ball at the net, make sure your arm is outstretched. This is one time where you want to reach out for it instead of getting closer to the ball. Try to maintain the right distance between your racquet and your body when you make contact with the ball. One of the most important aspects of producing a world class, short crosscourt volley is getting the outside of the ball. You want to carve the outside of the ball so that you can create a big angle, and play the ball far out of your opponent’s reach. So, when you watch the ball, look for the outside edge of the it, and try to make contact with that part of the ball. As with all shots, aiming to the right spot is critical to your success. This is no different when you’re learning how to master the short crosscourt volley. Avoid making the angle too good by going to close to the line. If you do this, you risk missing wide too often. Make sure you aim closer to the center of the service box, so that if you miss your target, the ball will land well inside the sideline. Hitting your volley short is important, because your opponent will be forced to run forward and hit the ball upwards, giving you an easy put away on the next ball. 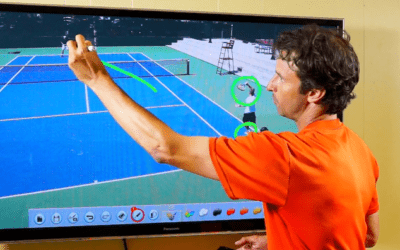 Now, it’s time for the final tip on how to master the short crosscourt volley. Holding your finish will help your short crosscourt volley as well. Have your racquet strings face the direction of the crosscourt target. Finishing with your hand on the same side of the body will ensure you keep a short follow through. Also, try to square up with your back leg after hitting the volley. This will allow you feel balanced at the end of the shot. 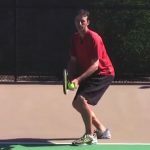 If you commit to practicing your short cross court volleys and work on these key tips you’ll see immediate results. Once you improve your spacing, contact, targets, and finish, you’ll be dominating your opponent with clean, crisp, short volleys in no time. It’s not Federer Time…Go Haas Go!